The SA Node of the Millennium Project held its Annual General Meeting on Wednesday, 22 March 2012 at the Institute for Economic Research on Innovation (IERI). The audited financial statements of the Node were submitted for scrutiny and discussion and were approved without changes by the Directors and Members. 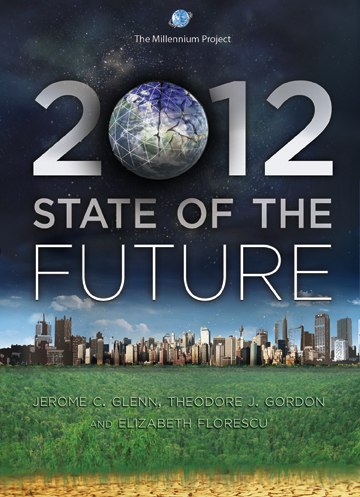 The Western Cape launch of the 2011 State of the Future Report was held on the 8th of November 2011. The event was held in the Ray Alexander Boardroom at the Civic Centre, Cape Town. 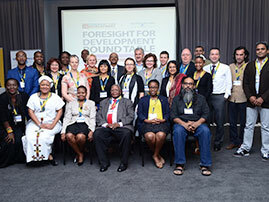 Co-hosted by the City of Cape Town and the SA Node of the Millennium Project, the event included presentations by Tanya Hichert (SA Node Director & Senior Researcher at IFR), Mr Boraine & Ms. Firfirey (Economic Development Partnership), Ms. Palmer (City of Cape Town) and Ms. Goldstuck (City of Cape Town). 20ll State of the Future Report now available. Monday 23 March 2015. The Capital, 20 West Street, Morningside, Johannesburg, South Africa.